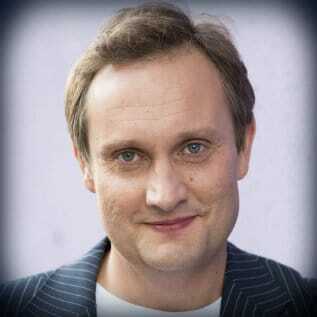 Mario Rosenstock is the creator of ‘Gift Grub’ the longest running daily satirical comedy series in Ireland. He is 15 years on breakfast radio ‘Ian Dempsey Breakfast Show’. Mario is the Winner of PPI National Radio Award for Comedy on 7 different occasions – including the Lifetime Achievement Award in 2011. Mario is the highest selling comedy artist of all time in Ireland, including 2 no.1 albums and the Xmas no.1 single in Ireland in 2005. He has sold over 500,000 albums in Ireland. He is the creator and star of ‘The Mario Rosenstock Show’ on television which has been the highest rated show on RTE 2 for the last 2 years. As a live performer, Mario has sold over 150,000 tickets since 2010 – including 5 consecutive sold out nights for his one man show at the Bord Gáis Energy Theatre and he sold out the Marquee in Cork. Mario Rosenstock is in constant demand for corporate events, both hosting events and performing after-dinner sketches. He has previously worked with the Irish Funds Industry, Dell, Cook Medical, Bank of America, Aviva, BT, Munster Rugby, Eircom, Media Awards, LPI Awards.